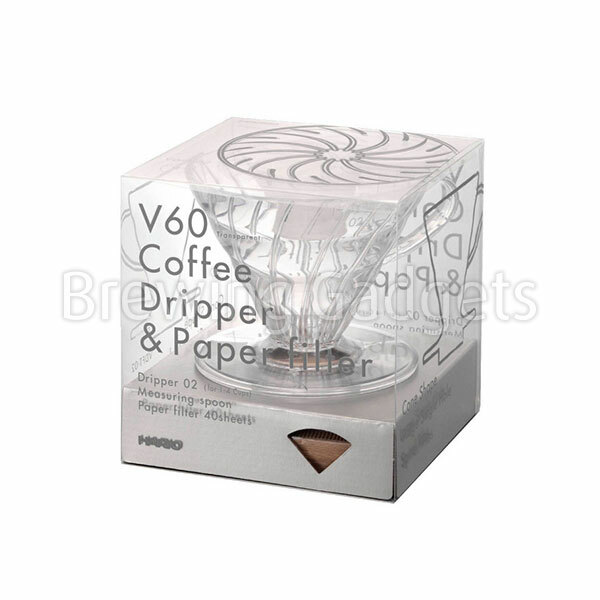 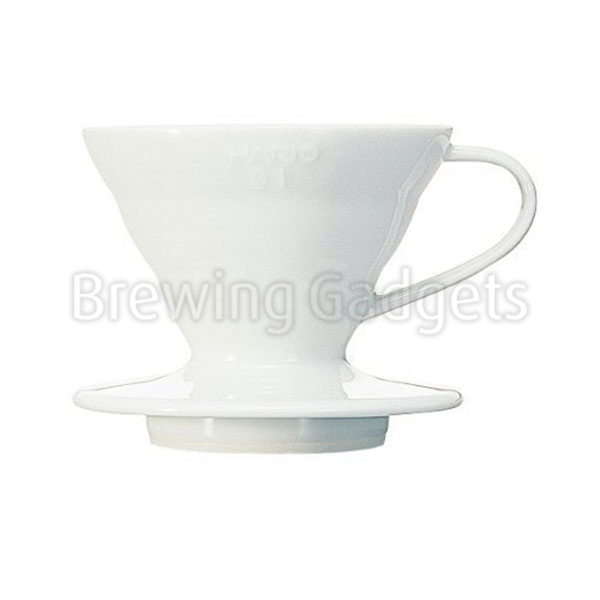 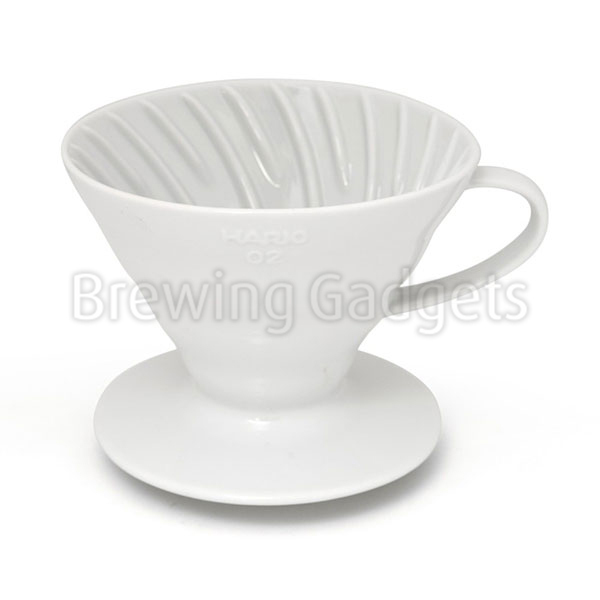 Hario V60-02 allow you to brew 300 - 500 ml of coffee at a time, which is enough for a big mug or two smaller portions. 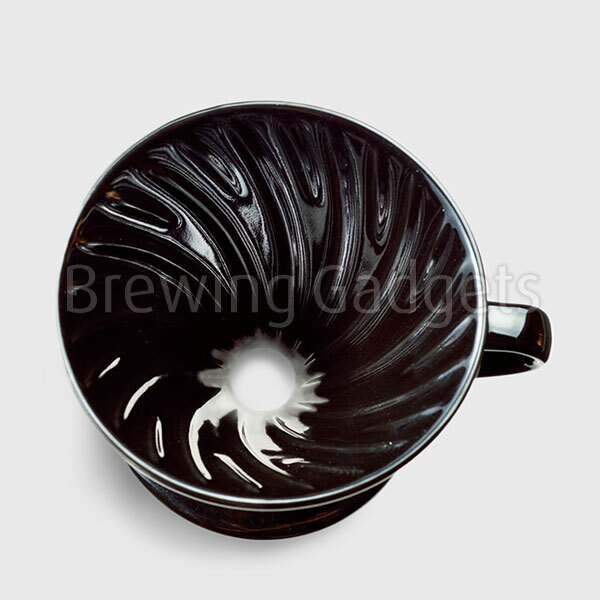 This ceramic version offers a stylish design available in several colours. 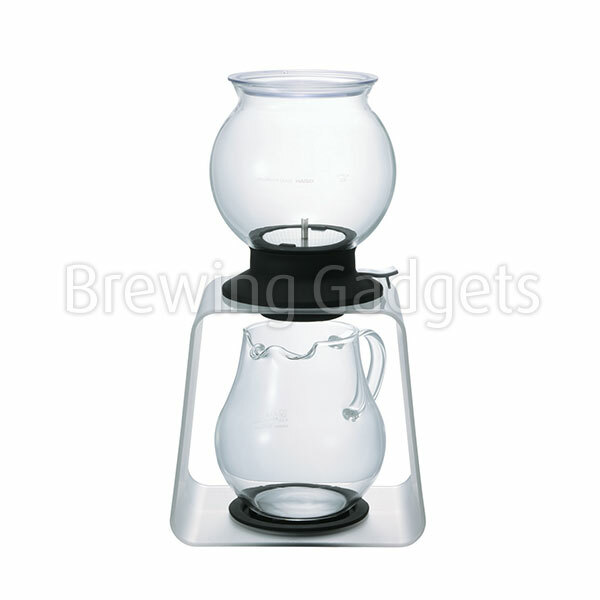 Furthermore, it is characterized by a very good level of heat keeping. 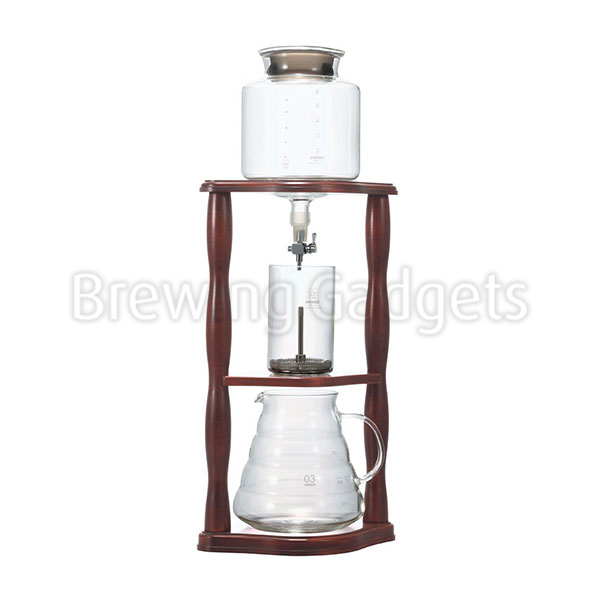 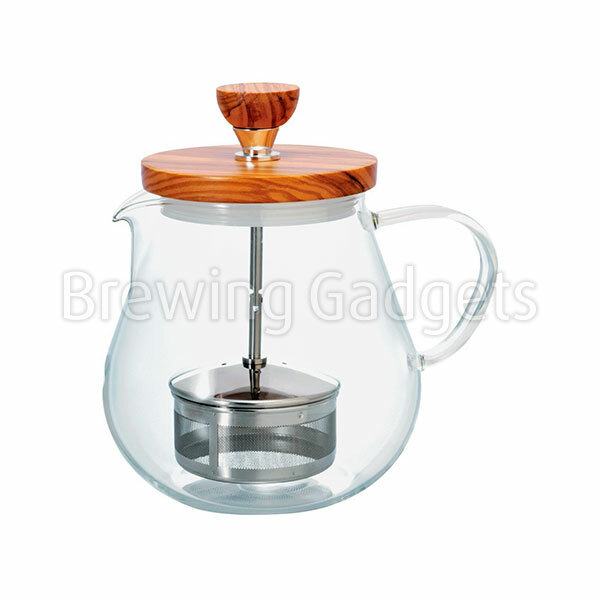 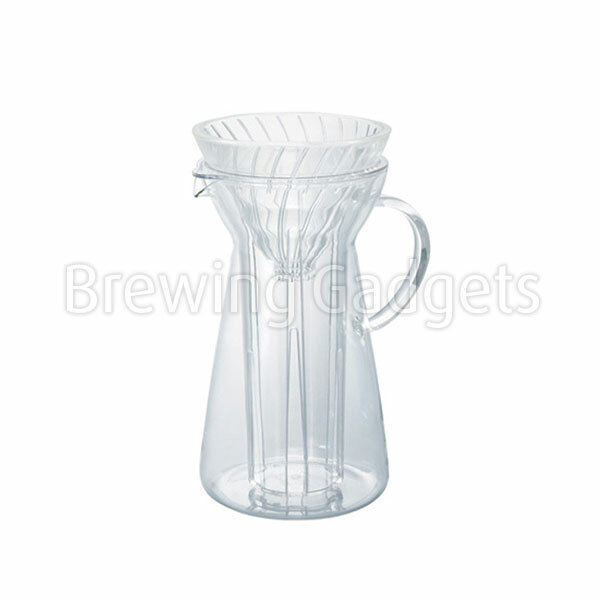 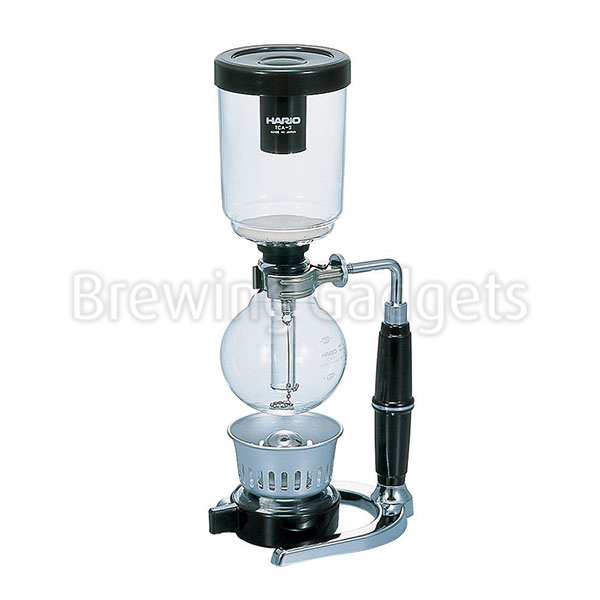 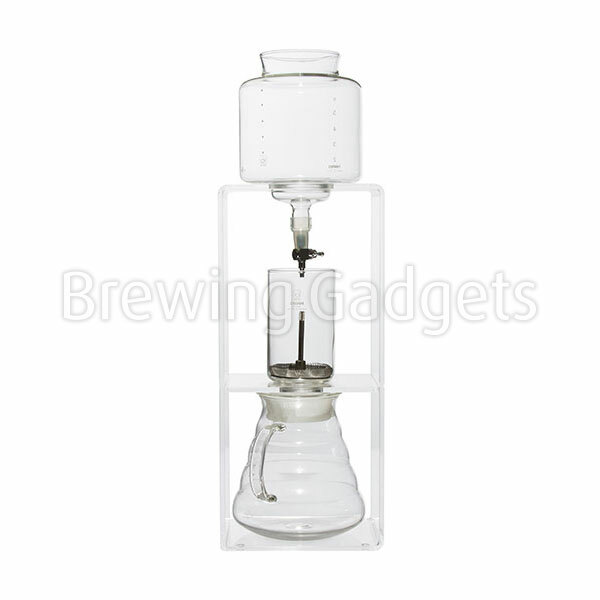 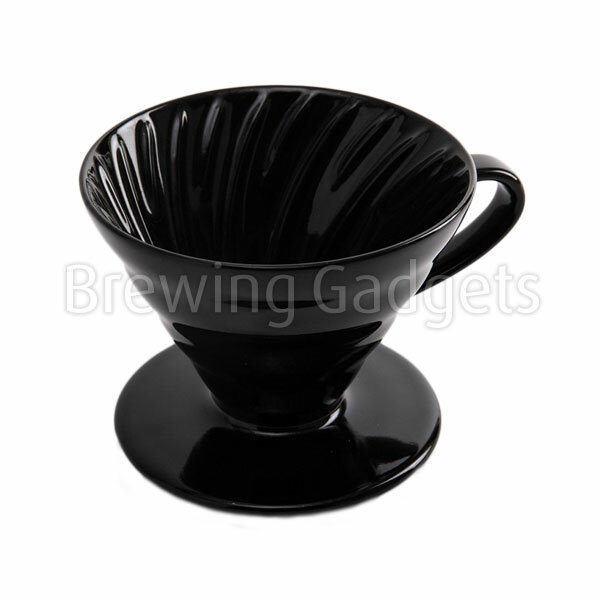 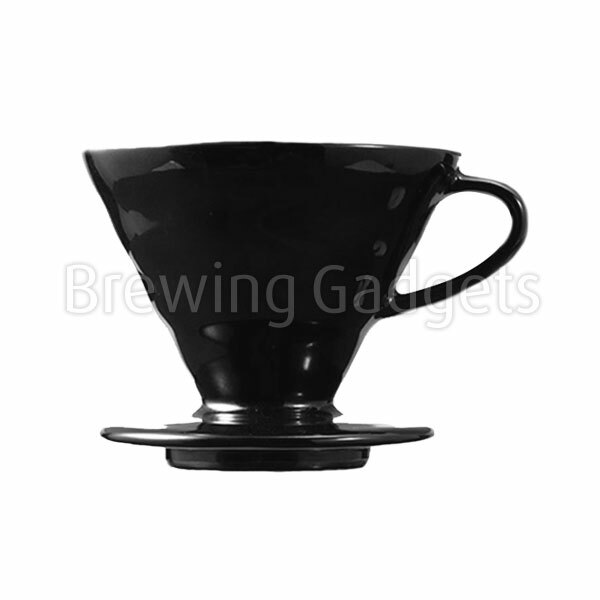 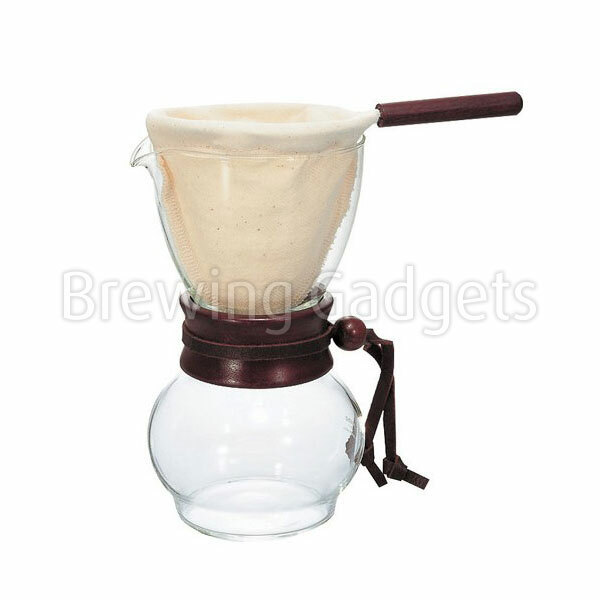 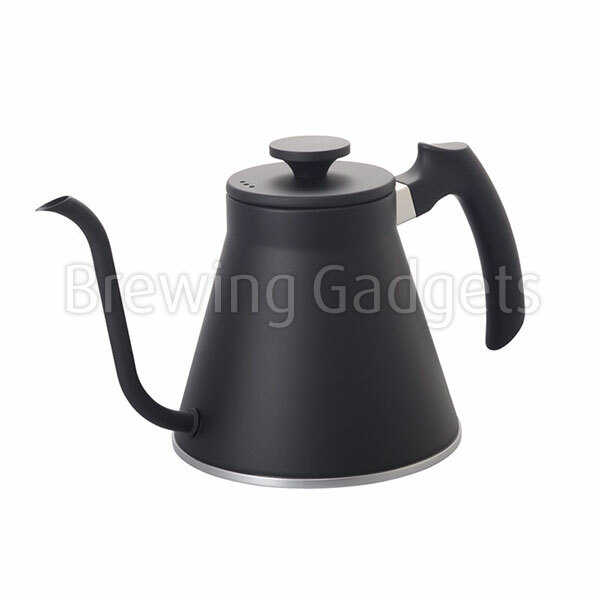 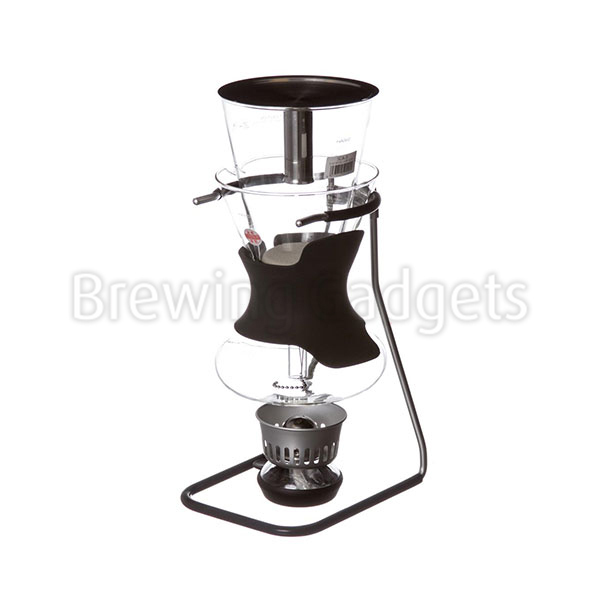 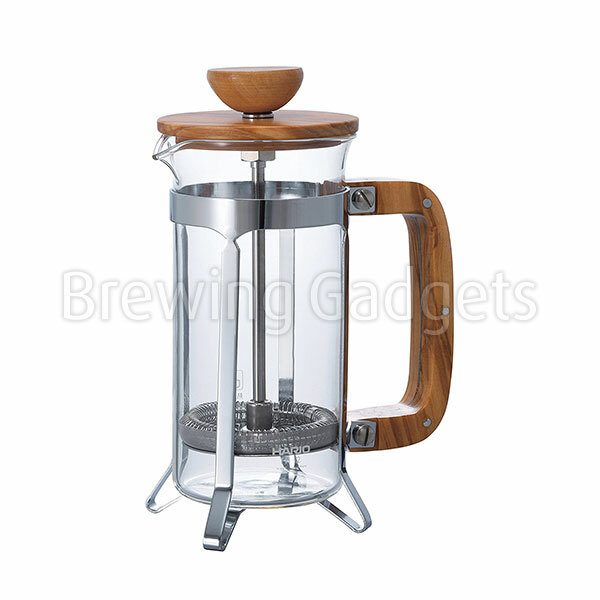 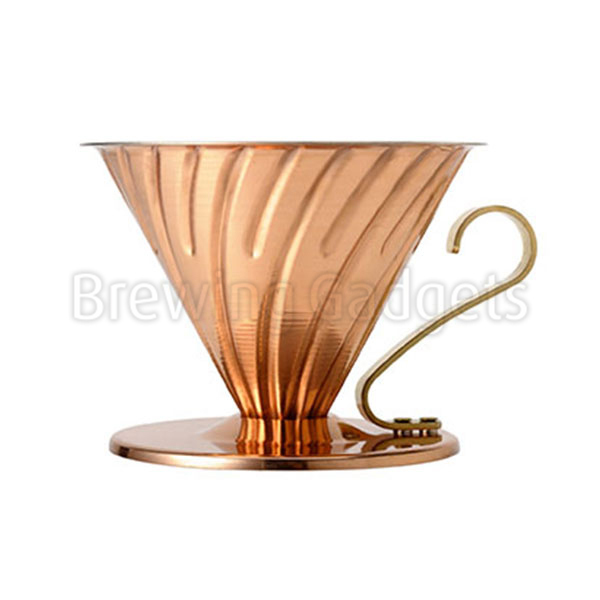 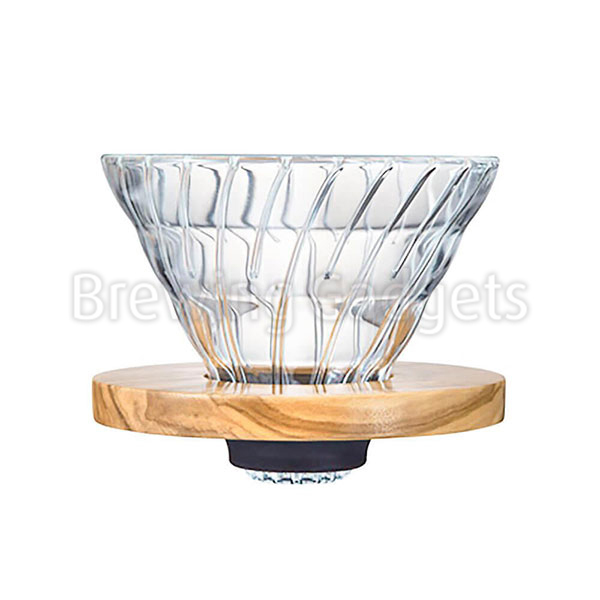 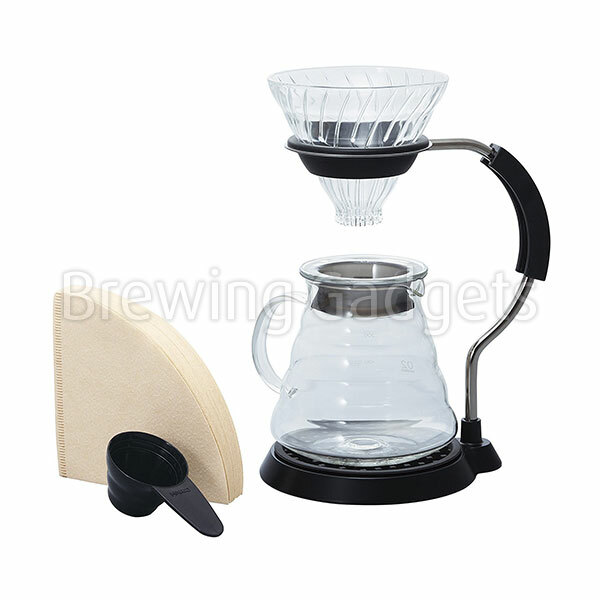 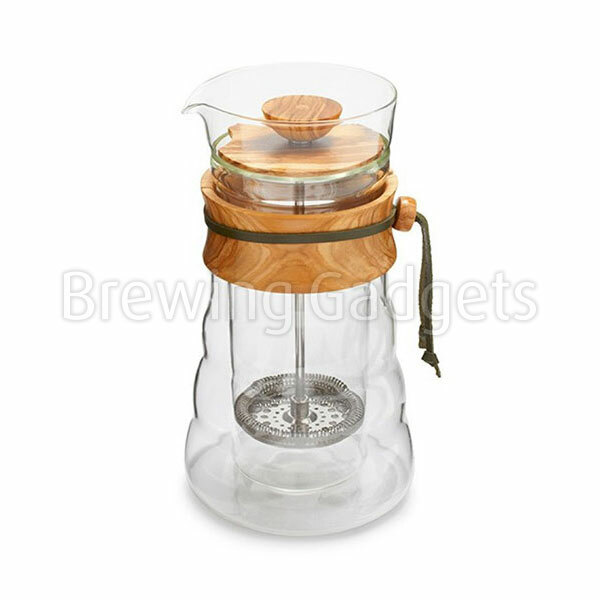 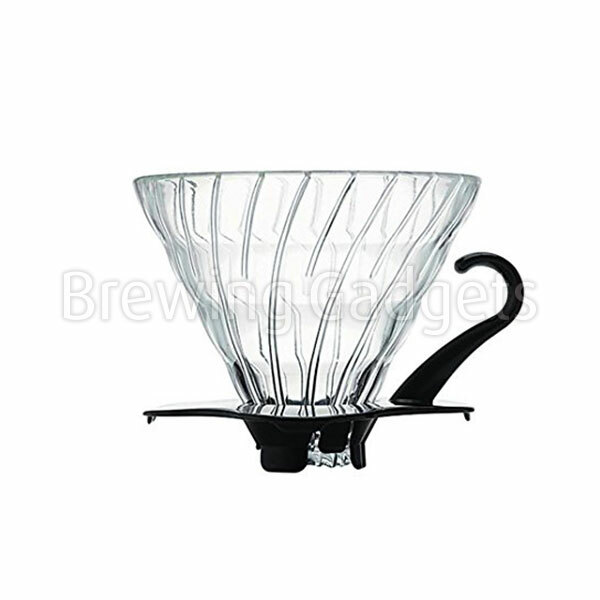 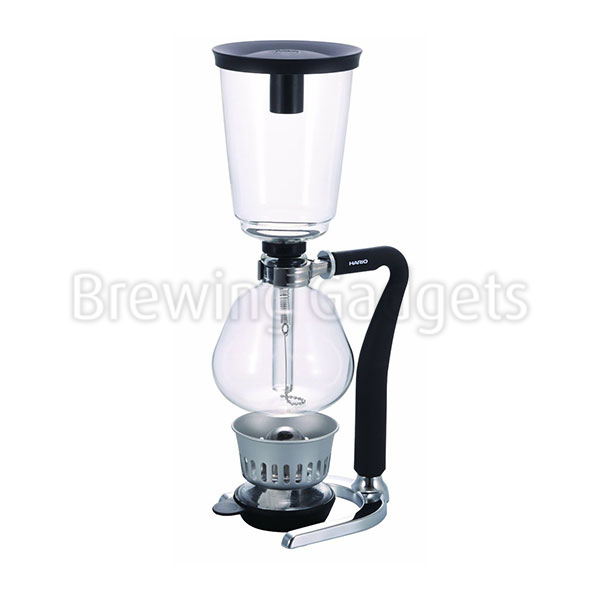 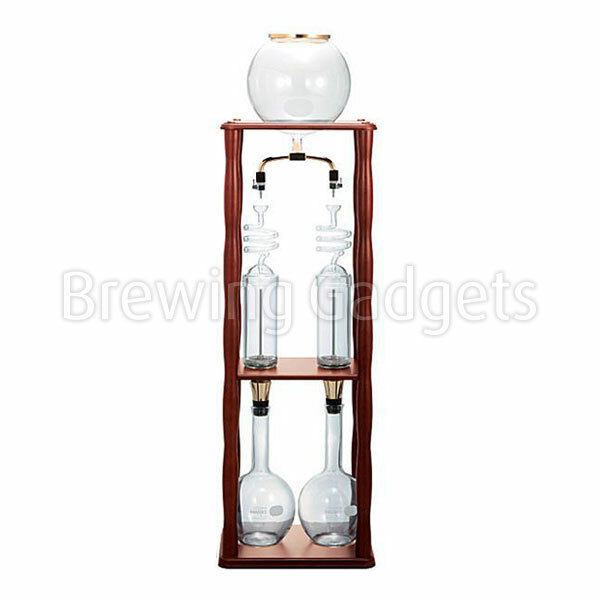 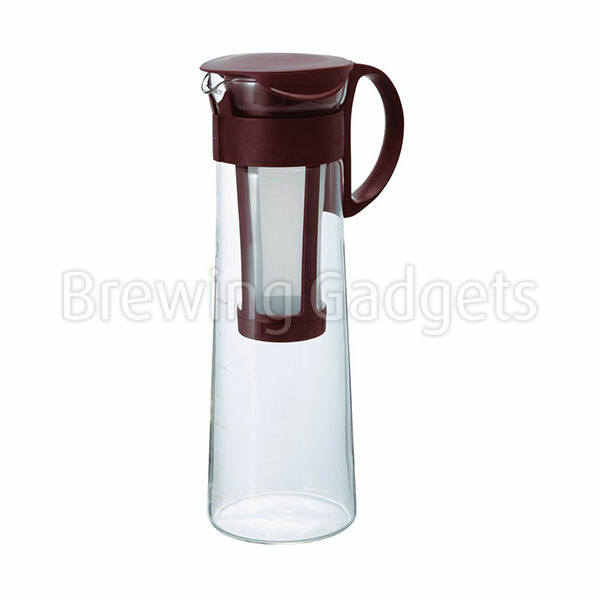 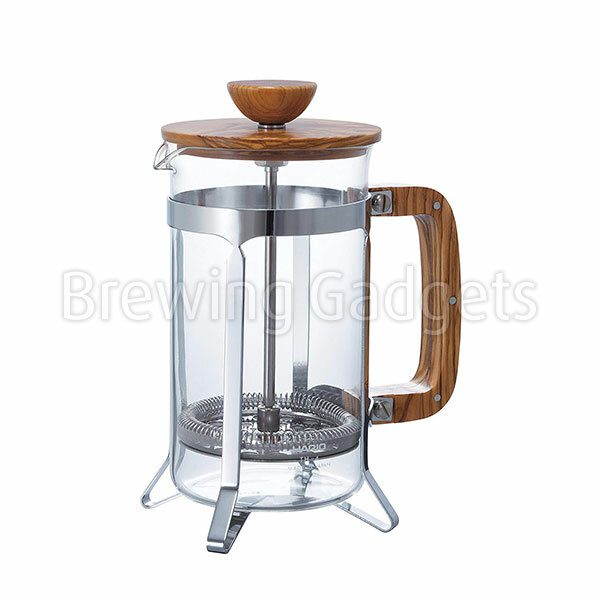 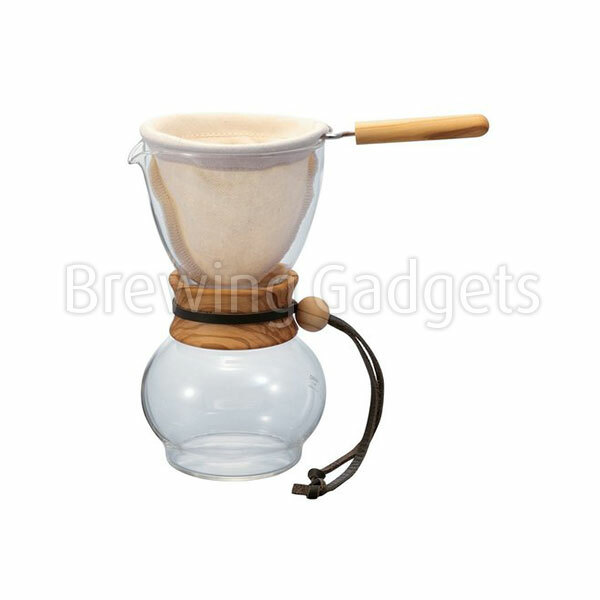 Its conical form and special grooves on the inside of the dripper provide the perfect water flow. 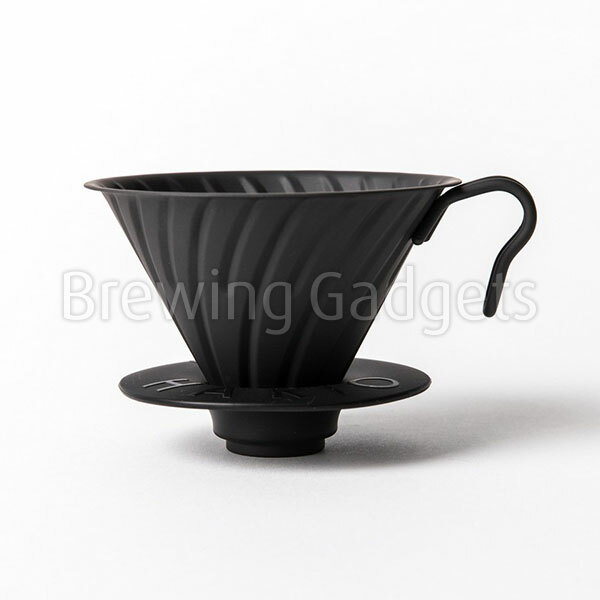 The set includes a plastic measuring spoon. 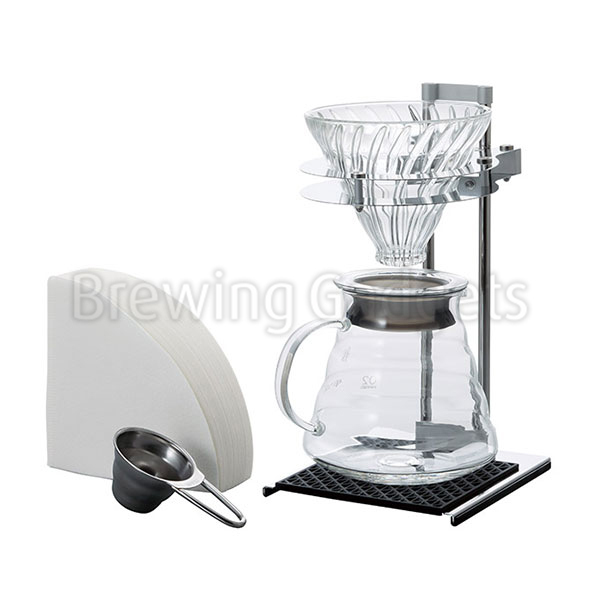 To prepare delicious coffee you need freshly ground coffee of high quality, a filter, your favourite cup or server and scales. 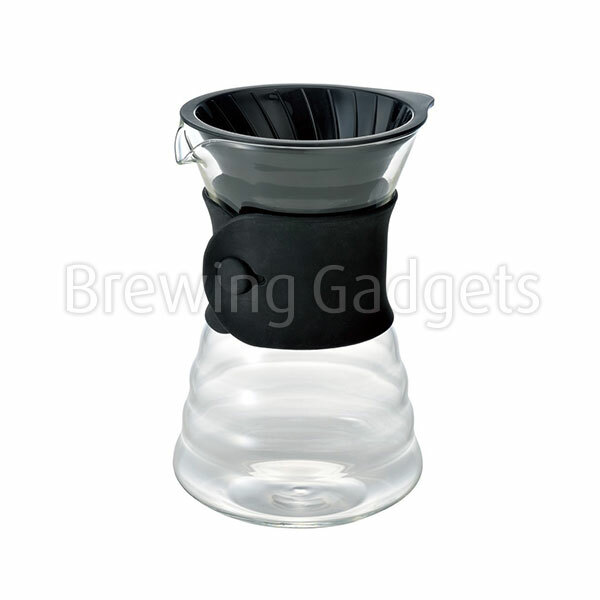 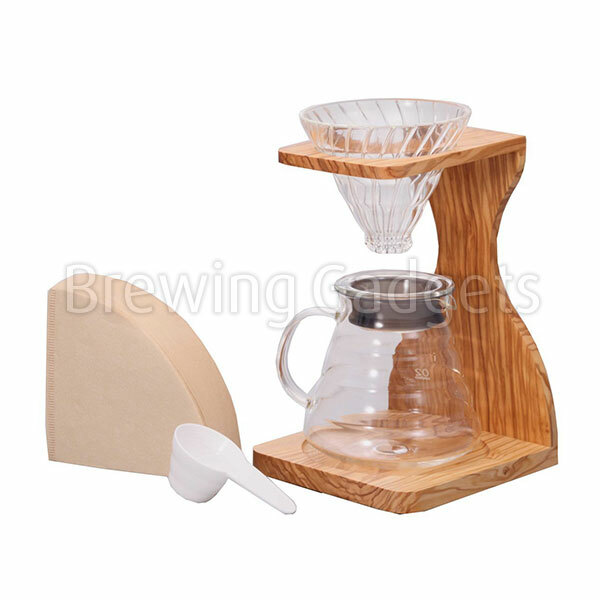 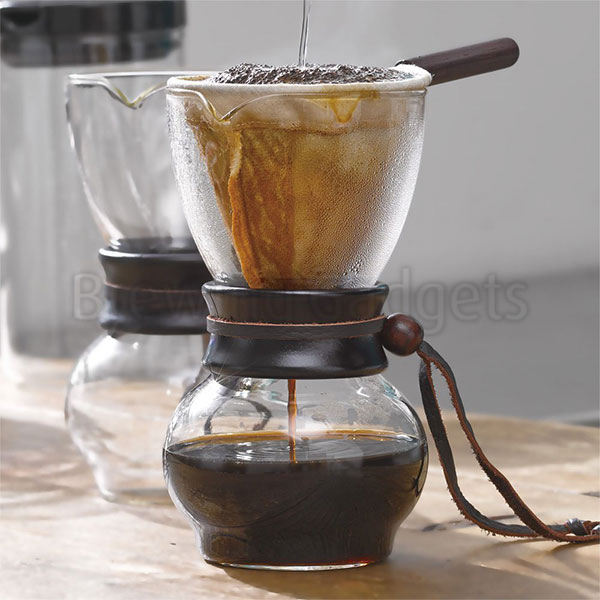 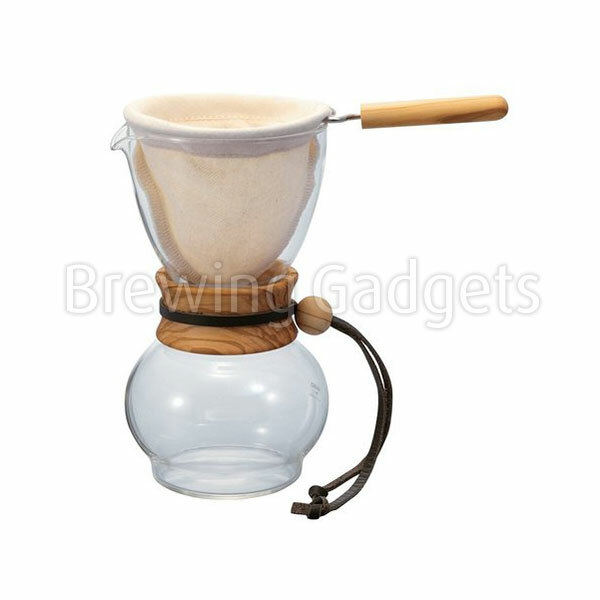 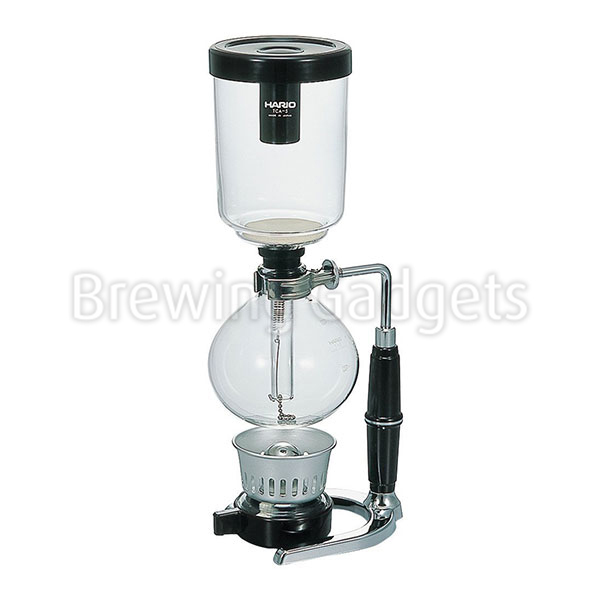 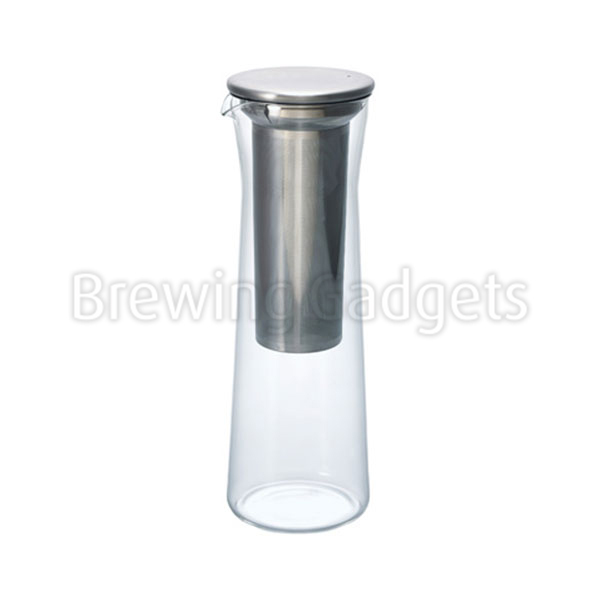 Put the filter in the dripper and put it on the vessel that you use for serving coffee. 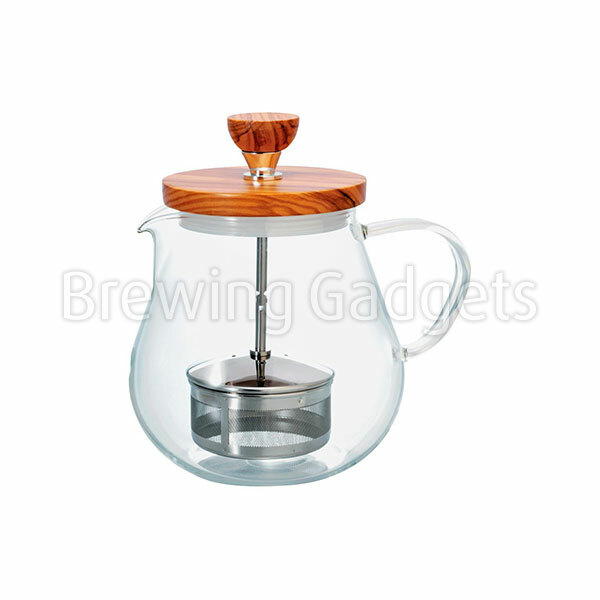 The infusion process takes only 3 - 4 minutes.